's artist challenges from Babstream. 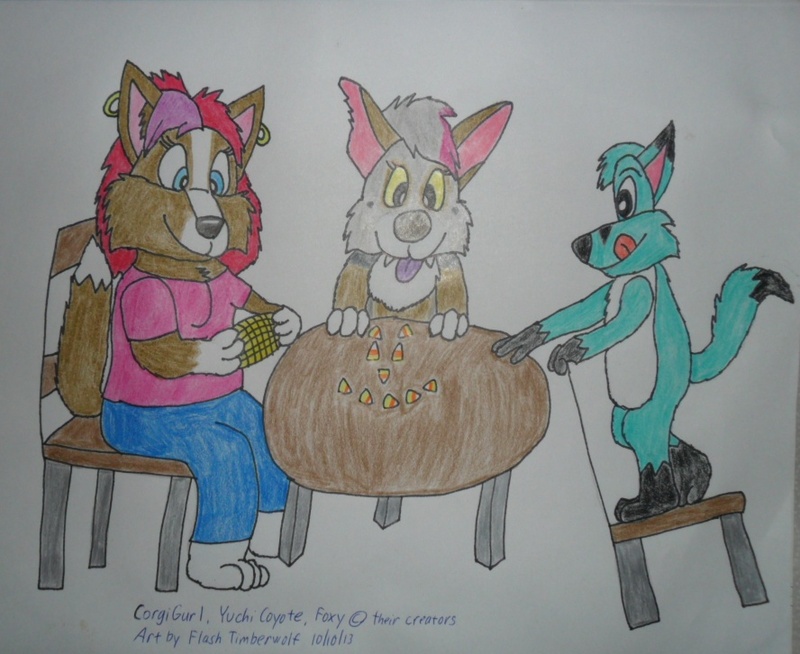 Here we have corgiegurl, yuchicoyote, and Foxy sitting around a 3-legged table. Corgi's having corn on the cob while Yuchi and Foxy are playing around with some candy corn.